Like Khap, you can always rely upon me to throw the dunderheads a bone every so often so that they don't become too depressed with their shortcomings as punters. Here is your bone for the year. Lay Winx in the Cox Plate and lay her early. 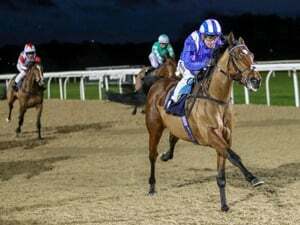 I lay her on a regular basis and using just basic methods as backing back for a place and taking a few quinellas it is easy to collect 5-10% on the stake money. However, this time it will be payday, big time. If one looks at the Turnbull and her win one will soon see that she is not going well at all. That race was run three seconds outside of Makybe Diva's track record for that distance. That equates to 16-18 lengths behind what MD ran. The second issue is the field that is running. I wouldn't dream of second guessing Waller, but instead of the knee jerk reaction to spelling TAS, he should have kept him in. I imagine he was frightened that if TAS got rolling at the school with 49kg he might be hard to run down. 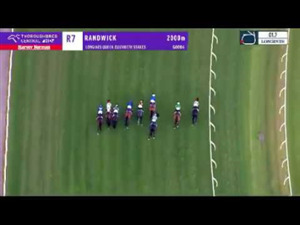 I think this plays right in to the hands of Godolphin with Benbatl and the Cummings horse. They are now only looking out for one now, Winx. I think the NZ mare is a bit of a mystery. As for the usual locals, they should be taken for a ride around town in the float during the race as they are one paced no hopers. The trick with this lay is to get on early and if you are faint hearted, trade out when she eases, which she will big time. For the more adventurous among you, hold your nerve. This is still an appalling field for our greatest WFA race but at least the imported B Graders give it some interest. Rex I don't know about grow up, but pot kettle black. You with your silly name calling really do need to grow up. Its hardly a new concept Bop Bag and has been a huge success elsewhere. It is really great. I think the NRL and AFL should adopt this initiative and have the fans select which teams should play in the grand final. Dont worry about talent or results, just bung them in and for heaps of money. Way to go I say. Great initiative. Along with Champs, Everest etc. Just shows Australian racing isn't sitting still like some places. The prize money on offer and many aspects of Australian racing are the envy on many around the world. When you talk to European trainers/owners/Jockeys about how to improve racing/attendance etc in this part of the world they predominately refer to two jurisdictions as examples of how things should old be done- Australia and Hong Kong. So Rex given that you are a commentator on racing why can't you provide comment on the new race in Victoria and in doing that, provide 3,4 or even 5, yes 5 horses that you would select for that race? Aussie cricketers and Aussie sport in general and their continued humiliations on and off the field? why dont you be a good chap and answer our questions. Start with mine. Why haven't you honoured your losing bet and left this forum forever as promised? Just read your post and its enclosed nastiness Gary. There is no copying and pasting.They are my own words. Your fascination with search buttons et al would allow a simple Google search to illustrate any plagiarism on my part if it were not so. Now instead of being so nasty and defensive, why not be a good chap and answer the questions Khap and I have been asking of you wizards for so long? 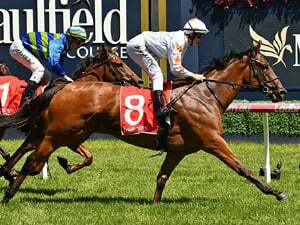 Theking answered your enquiry regarding "Tillich" and I answered regarding Phar Lap. Now think hard, confer with L. Rex and Gary and answer my questions regarding Winx. I think Tufnel backed him in each of his ten wins but did not do so on the occasions he lost. He would have been on the winner in those races however. I previously said that TODMAN had 12 starts for 10 wins & 2 seconds. The UNPLACED was where he actually ran 4th (not 2nd) to REDCRAZE in the Hill Stakes. "Please EXPLAIN to us your reasoning for nominating a horse to hypothetically win the 2018 Everest even though history tells us that it "NEVER" won a STAKES race over 1200m in OPEN COMPANY" and was in FACT known to be an absolute duffer in the wet. What was your reasoning for nominating this horse?" Come on Gladys I am unsure as to why you continue to ask your inane questions about the best horses that Winx has beaten over & over again. "In relation to Phar Lap, he carried enormous weights, ran over a multitude of distances, won a Melbourne Cup with 63kgs and beat very good horses...The horses he beat included the very good Nightmarch, Amounis and Chatham. 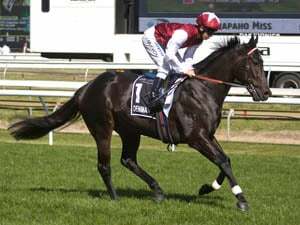 The last two mentioned here are in the Australian Thoroughbred Hall of Fame." You are blind to the fact that blistering acceleration distinguishes Black Caviar and Winx from history's best. Yet you can read, copy and paste. Fascinating. Thank you for your question Tufnel. TheKing has told you about "Tillich" already so I wont answer that. In relation to Phar Lap, he carried enormous weights, ran over a multitude of distances, won a Melbourne Cup with 63kgs and beat very good horses. The horses he beat included the very good Nightmarch, Amounis and Chatham. The last two mentioned here are in the Australian Thoroughbred Hall of Fame. Now Tufnel, who are the best wfa horses that Winx has beaten. Which ones are either in or will be included in the Hall of Fame. Perhaps Libran, Red Excitement or Foxwedge? "Thanks King" said through gritted teeth by Tufnel after being exposed once again as the dill he is. Those seconds were to a couple of very good ones in Tulloch as a 2yo over 7 furlongs & to Redcraze 6/G1s as a 3yo over 8 furlongs & 110 yards. Here's another couple of good ones that Tulloch beat. Sailor's Guide beat Tulloch over 13 furlongs. Sailor's Guide then went on to race with distinction in the USA including winning the Washington D.C. International G1 at his first start there. Nothing from our other ‘experts’ (sic). Too busy firing off nonsensical nerf arrows to come up with anything remotely consequential of their own. nearly a champion? He'd be lauded an out and out champion in Europe with that sort of record. Especially having beaten one of the greats in Tulloch. Tulloch beat a pretty handy one in TODMAN. He beat TODMAN in the AJC Sires Produce 1400m by about 2 lengths. Interestingly TODMAN reversed this defeat 5 days later in the more suitable (for him) Champagne Stakes 1200m thrashing Tulloch by 6 lengths. And as of course as most of us know TODMAN was very nearly a CHAMPION in his own right, a very dominant racehorse. 12 starts, 10 wins (inc. Golden Slipper), 1 second in the AJC Sires Produce when beaten by TULLOCH.